Previous: Another nomination for Further: Best Small Integrated Search AgencyBlog indexNext: What would Facebook’s Explore feed mean for brands? This is the second article in a series that aims to explore how subculture has changed in the last 30 years. Navigate the articles in this series using the list on the right. Evolutionary principles can be useful for finding root causes by working backwards from a result. For example: Why do so many animals have eyes of one sort or another? Because the ability to see is useful. Why is that useful? To find food or avoid predators. But how did eyes form? By the perseverance of gene mutation that favoured light-sensitive genes. How do subcultures meet this need? What function do they perform? Why were 1960s subculture the way they were? Because they had to be that way to perform the function (above). Microcosm societies with hierarchies and their own language/uniform/values/behaviours that allowed people who couldn’t achieve in mainstream culture to succeed. How has the need changed? And how are current needs being serviced? This study aims to answer these final questions. 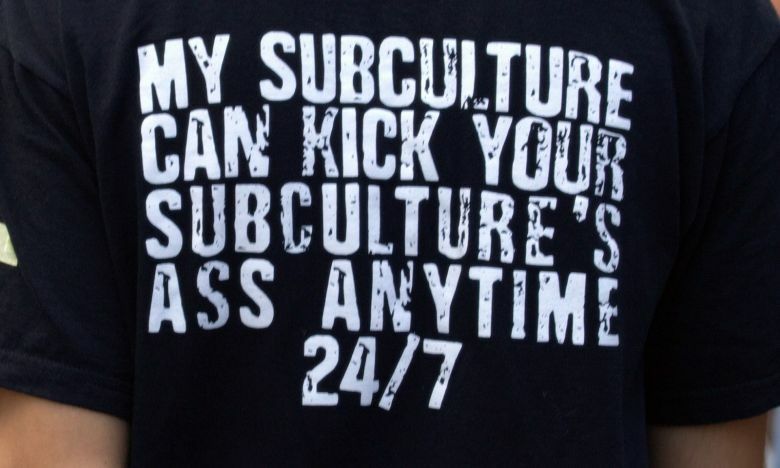 Subculture groups form because of the need to escape from wider society… out of the collective need to redefine something in wider society that provides meaning. People looking for solutions seek out others with similar problems – they become aware of other individuals/a subculture with which they want to identify – and that offers the sense of truth, honesty, identity and belonging that mainstream culture fails to offer. Gang members in Philadelphia 1973, 1950s greasers, ‘Trekkies’. 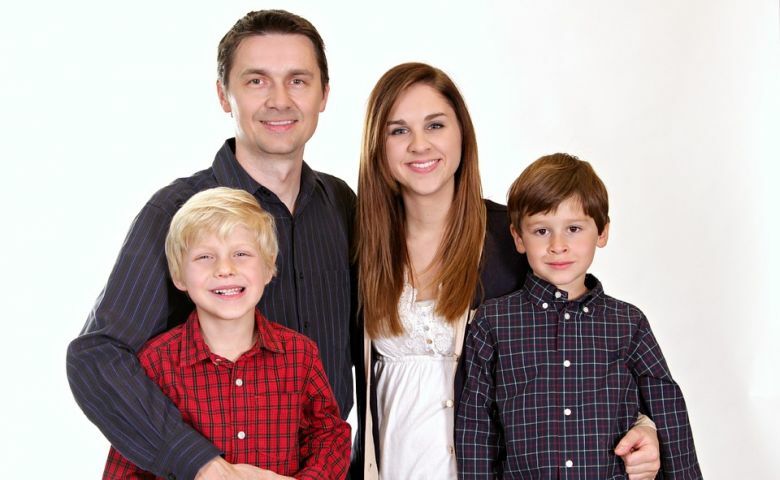 [Subculture groups form] to resolve the contradictions of the parent culture – where parent cultures no longer provide a workable ideology for the next generation. Subcultures manifest in music, fashion and rituals. In his study of delinquency, sociologist Albert Cohen found that subcultures emerge so those who cannot succeed in mainstream society, have a sub-society in which they can succeed. “Subcultures are anything else that encompasses the stürm and drang of adolescence. As comprising of one-upmanship, peer pressure and insecurity,” says our panellist Alex Burrows. “Teenagers want to stand out from the crowd but, at the same time, they want a sense of belonging. Ironically, subcultures generally encourage dressing so that everyone looks like each other, but at the same time, like any other clique, they are consumed by infighting. As the film This Is England posits, subcultures are as much a need to belong and to fit in as they are about music, style and social scenes. One method of deciphering human behaviours (separating societal constructs from biological imperatives) and finding their root causes, is to look to our nearest cousins: chimpanzees (with whom we share 94% of our DNA). For example, while some religious groups say that homosexuality and bisexuality is “unnatural”, the animal kingdom has numerous examples of it, including bonobos. So, we can deduce that it is a natural phenomenon – not a ‘psychological condition’, ‘a choice’ or ‘a disease’. 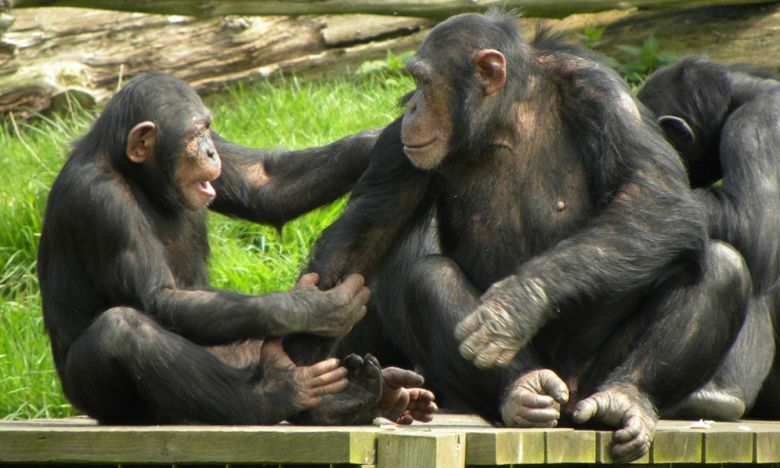 Do chimpanzee communities display any behaviours that might help to understand what drives human subcultures? This sounds like many western subcultures, especially gangs. “The similarities in aggression between humans and chimpanzees [are] adaptive responses to local conditions, predicated on an inherent male concern for social status. In 2014 primatologists noticed a meme in one community. One dominant female started putting a piece of grass in her ear. While chimpanzees have been observed making tools and passing on this knowledge – it has never been observed that a chimpanzee will do something that has no apparent function, that is then mimicked by others. But this is what happened, as other members of the community started putting grass in their ears. It may be a generalisation, but it is still a relevant correlation: in chimpanzee communities, only males form ‘gangs’; gangs and sub-groups are often predominantly formed by and include young men. So, subculture is the human result of a concern for social status based on local conditions. If subculture is changing, it must be down to changing local conditions rather than a change in human nature. For example: dominant males – those with ‘mating rights’ – aren’t in subcultures. Likewise, many men get a job/fall in love/get married. To our primate brains, this is success, so we have less need for subculture for identity, status and/or power. If subcultures no longer exist, is it because everyone can succeed in mainstream society? The disappearance of absolute poverty and increased social mobility would corroborate this. If subcultures are so natural. Why haven’t we seen more of them in societies around the world throughout history? Why did subcultures become the thing they became in the second half of the 20th century and not before – the music, the fashion, the events, the language? This moment in time offered a unique set of circumstances in which subcultures could emerge and spread – that hadn’t existed before. In the 1800s, children left school at 14-16 and went into their father’s profession or waited at home until they became wives and mothers. They went from child to adult overnight. As affluence grew and social ideas changed, adulthood was postponed. What emerged was not a longer childhood, but adolescence – the teenager. With no job to focus on, this young adult could satiate internal drives, interests, identities and ideas. In the 1800s, ideas could not spread amongst ‘the masses’ because few of them could read. Everything had to be word-of-mouth, which took time and couldn’t spread through a geographically immobile population. As more and more people learned to read, newspapers, books and pamphlets could spread ideas further, quicker – as proven by the use of the ‘underground’ press in the 1950s and 1960s. While the UK was financially crippled after the war, America’s economy was burgeoning. As a result, teenagers found that they had disposable incomes and could indulge their urges – to express themselves and their ideas any way they could: form a band, buy certain clothes, travel, demonstrate, drop out, buy drugs, become an artist. As the UK caught up in the late 60s, subcultures began to become more than localised scenes. Many alive at the time will tell you that the 60s was just something that happened to 200 people in London and Liverpool. The final star to align, is conflict and inequality. The above only results in subcultures if people want to rebel or differentiate themselves, or ‘say something’. This could be parents, society, governments or other authoritarian bodies. This provides direction for the art created: music can mean nothing, but it can also say ‘black people are being oppressed’. This in term helps unite people under a set of common values, ideals or goals – giving meaning to the subculture beyond similar music, art and dress codes. Gangs of one kind or another have existed in most cultures at one time or another. Unlike modern subcultures, they were recognisable more by behaviours and values opposed to the mainstream, than by music and uniform. (There are of course notable exceptions in the form of certain hip-hop subgenres/acts and grime and in particular the recent ‘drill’ scene). While the differences between a given subculture and criminal gangs are many, it is useful to recognise the parallels between non-criminal subcultures and gang culture. While the route to these outcomes may be different for criminal gangs, in themselves, many are also important for non-criminal subcultures. When these things are not accessible to individuals in mainstream society, they create a subculture to offer it. 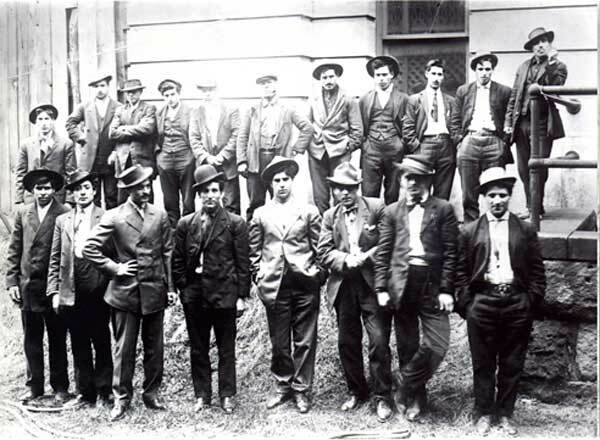 The Five Points Gang of New York City. The mainly Irish immigrant gang provided opportunities for men who found it hard to find legitimate work; it was not uncommon for job ads to include NINA (No Irish Need Apply). Reliable, meaningful, long-term statistics on gangs in the UK are hard to come by because they are hard to record. Tabloids cite various snapshot data, but there is no reliable data to suggest whether there are more or fewer gangs and/or members since 1945. A related statistic, though I’m suggesting a direct corollary, is the rise of youth crime from the 50s to the mid-90s. Another interesting parallel is that gang members’ core ages are 8-22, similar to the ages of peak non-criminal subculture membership (though not leadership, which tends to be a bit older). But evidence suggests that, as Chief Superintendent Nick Ephgrave (Lambeth) says, that while gangs are not an “epidemic”, they are a “stubborn” problem that shows no sign of going away. We might predict that when mainstream culture successfully offers the above list to all parts of society, gangs will disappear, just as other subcultures seem to be doing. From the 1950s to the 1990s, subculture was ‘my culture against your culture’ to provide some power/status to the powerless/statusless. If rebellion is a key part of subculture, today’s young people seem to be rebelling by not engaging in traditional subcultures. If a need of power and status was served by subculture, can we deduce that today’s un-subcultured youth have these things? 1960s counterculture thought it was breaking the rules, but it was still only breaking rules within its own set of boundaries: what is a hippy, what is a square, what is a beatnik. Generation Z are breaking the meta rules – the rules about breaking rules. Teenagers from the ’60s to the ’90s sought to create an identity and sense of self that separated them from their parents. They did so by creating a subculture: a set of values, behaviours, music and dress codes. Generation Z appears not to be doing this in the same way. Or are they? Is identity just not visible to the uninitiated? Combination and recombination has given rise to many subcultures and, in particular, musical genres: from jazz and funk, rock and blues to hip hop and metal, techno and jazz. Often entire scenes (subcultures) emerged with them: hip hop, punk and others. Subculture today seems less siloed or clearly delineated. Everything exists in a multi-dimensional and infinitely overlapping polyverse. Today, experimentation and combination appears to exist for its own sake: the results only valuable in the short term with ‘scenes’ germinating, growing and dying off in six month periods. Every possible subcultural expression is explored as an exercise in itself – a means with no end, with no deeper meaning. Some argue that this is because many subculture progenitors and their followers want to stay one step ahead of the mainstream and the brands always keen to exploit the power of pocket money dollars.